Considered a contender with all the absentees in the last few weeks, and seems to have claims off the back off his win in a small runner field at Naas when last seen. That was his second start over fences – the first of which was when finishing second at Punchestown behind Getabird in a Beginners Chase. Never won as a hurdler after his debut, and will bid to continue on the upward curve over the larger obstacles. Victorious in his last two appearances in Class Three’s and looks open to further improvement. He travelled well when ruling supreme at Huntingdon last time out, getting the better of Peppay Le Pugh who is no pushover. Second to a classy rival at Ludlow earlier in the campaign looks solid form, and deserves to be in with a squeak here. Burst onto the scene as an Arkle contender with a rampant victory in a Beginners Chase over two-and-a-half at Gowran Park. Fifth in last year’s Ballymore, he has some good form in the book this term over fences, with a close third to Cilaos Emery – another Festival absentee. More required here, but a name that should be considered. Ultra-impressive in the rearranged Kingmaker at Sandown last time out, lowering the colours of Kalashnikov in the process. Transferred himself from a useful handicapper, into a serious contender for this valuable prize. Excellent form this season – winning at Kempton over Christmas; a race that saw the second, third, fourth and fifth all come out and win since. Will suit the strong gallop as there usually is, and will look to charge away from this from the front end. No impression on La Bague Au Roi over a longer trip at the Dublin Racing Festival latest, but a drop back to two miles will surely see him with decent chances. Four other starts as a chaser, and was only beaten by Voix Du Reve in November. Has come out and won a Grade One at Limerick, so surely cannot be discounted on that basis. Looked a sure player for this race off the back off his first two starts over fences at Warwick and Plumpton. Ran into Dynamite Dollars at Kempton over Christmas, before finishing almost twenty lengths down on Glen Forsa on Sandown. Do not lose hope however, as a return to a left-handed track is a big bonus – he has only been beat once that direction, and that was his runners-up finish in the Supreme last year. Has plenty of speed, and benefitted that this race has thinned out in recent weeks. Hard to tell how he stands in this race, having fallen at Leopardstown in the Grade One won by notable absentee here Le Richebourg last time out. Away from that, he has only been beaten once this season when standing up this fences, and that was at the hands of the-then JLT favourite Master Dino from France at Plumpton. Solid form accumulated, and surely is overpriced at 15/1 given the nature of this weak renewal. Another individual who will be well to the fore, looking to set a decent pace. One of the standout performances of the season, when winning an Arkle trial at the Festival venue back in November. Couldn’t wow us again when switched to Sandown next time out for the Henry VIII Novices Chase, but the ground never appeared to suit. Will relish a return to a left-handed track, and with the forecast incoming will have the conditions in his favour. 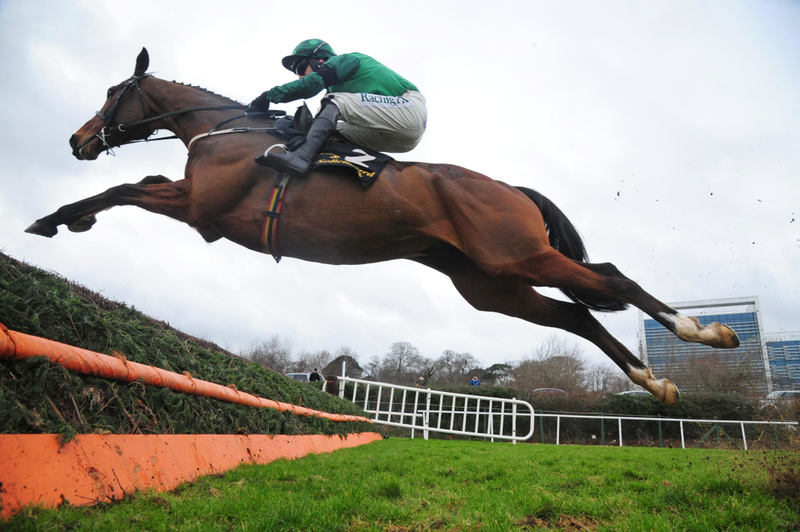 A Grade One winner over hurdles could provide one of the stories of the week. After his first start over fences back in May of last year, Ornua has failed to be outside the top two on his next six outings. He was eight lengths clear of leading fancy Lalor when finishing second to Dynamite Dollars when last sighted in the Henry VIII Novices Chase. Certainly a candidate to make the running; similarly to how he did at Sandown, when it looked a blistering pace. Fourth in last year’s Supreme – a result that may have been bettered if the ground was more in his favour. Just two starts over fences; fourth on debut when well backed at Navan which was very much a schooling lesson, before a victory at Leopardstown over Christmas. Cannot be discounted, but others more proven. Wants soft – no worse. Always very highly though of at home, Slate House may be in a bit too far in this contest. Does have highly commendable Cheltenham form, winning twice as a novice hurdler; including when getting the better of Summerville Boy in a Supreme trial. Fell at the last when well held in the real thing, and was last of five in his one and only start in a graded race over fences. Out of his depth here. Forced to settle for second place on all his last three starts. Runner up to Hardline at Navan before Christmas, before the same outcome twice at the hands of Le Richebourg at Leopardstown in two Grade Ones. Good form on that basis, but needs more to get his head in front in this.